Come and meet us on the booth N° 266 – Hall B2 – Lasers and optoelectronics sector). Multitel will exbihit in Laser World of Photonics that will take place on June 26th to 29th 2017 in Munich, Germany. LASER World of PHOTONICS is an international exhibition for components, photonics systems and applications. It combines perfectly the technology and the sectors of industrial applications, for a large possibility of use. 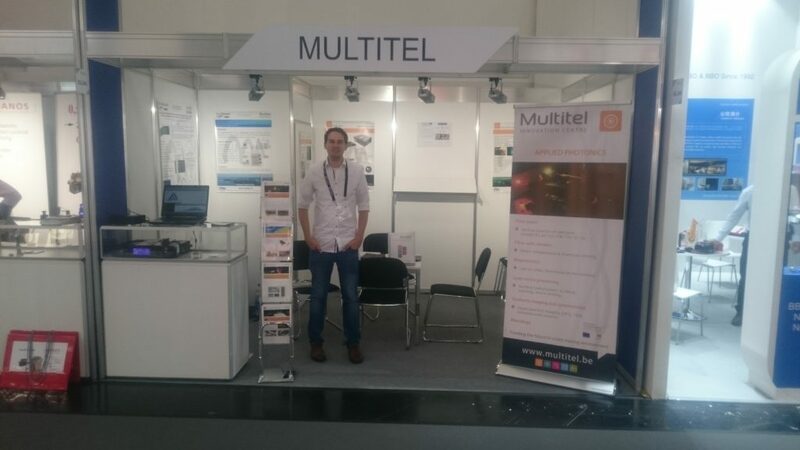 Multitel will present an ultra-shot-impulsion fibre laser and a multi-canals spectrometer. During the conference CLEO, Multitel will also give a presentation on the FP7 European project ENVIGUARD.